Blurred horizons of the beautiful natural landscape of Australia are the inspiration behind my latest collection of rugs. When you photograph a portrait of someone, it’s nice to have the background out of focus so your attention zooms into the subject. These exquisitely colour shaded rugs act as a beautiful backdrop to any room in the same way depth of field influences our perception. 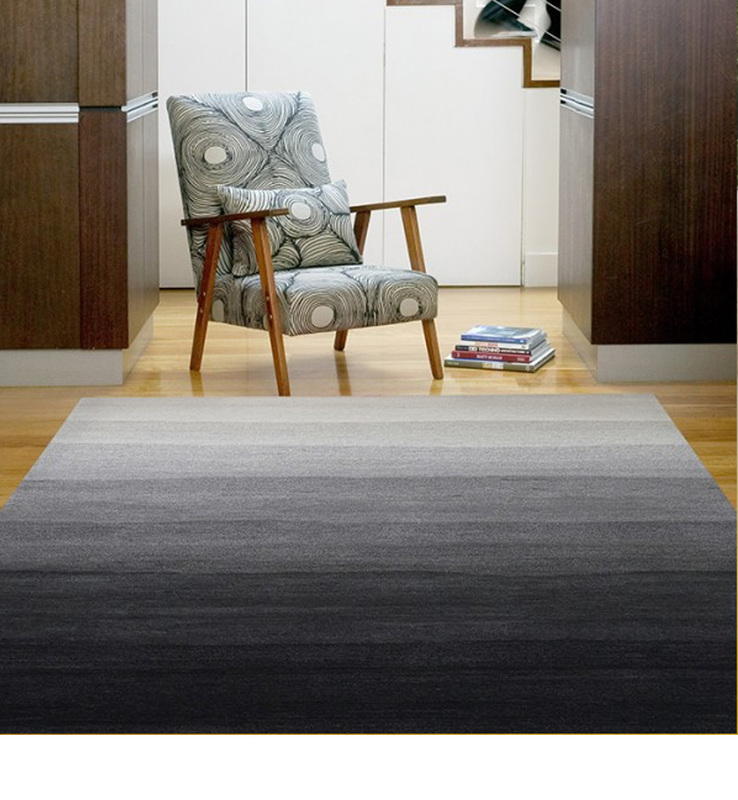 There is no critical point of transition between one shade of colour and the next and as a result the rugs provide a soft, comforting anchor to a room, evoking a sense of serenity similar to when viewing a landscape horizon at dawn or dusk.